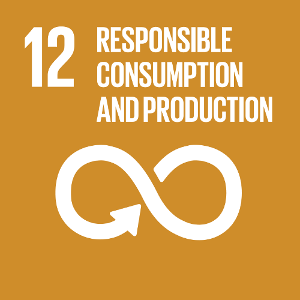 SDG 12 aims at ‘doing more and better with less’, and calls for action on all fronts: adoption of sustainable practices and sustainability reporting by businesses; promotion of sustainable procurement practices; environmentally-aware lifestyles of consumers; development of new technologies and production and consumption methods by researchers and scientists and others. 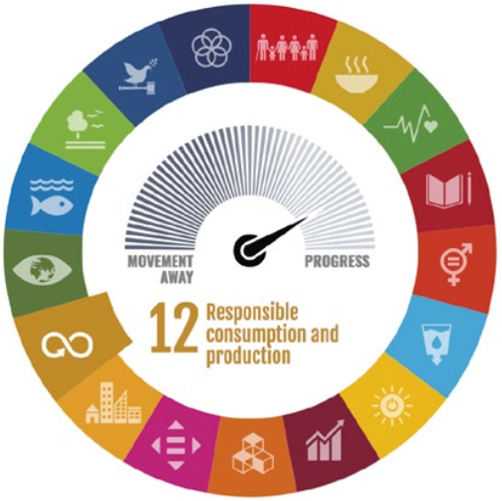 The EU has made significant progress in all three important areas: “Decoupling environmental impacts from economic growth”, “Energy consumption”, and “Waste generation and management”. 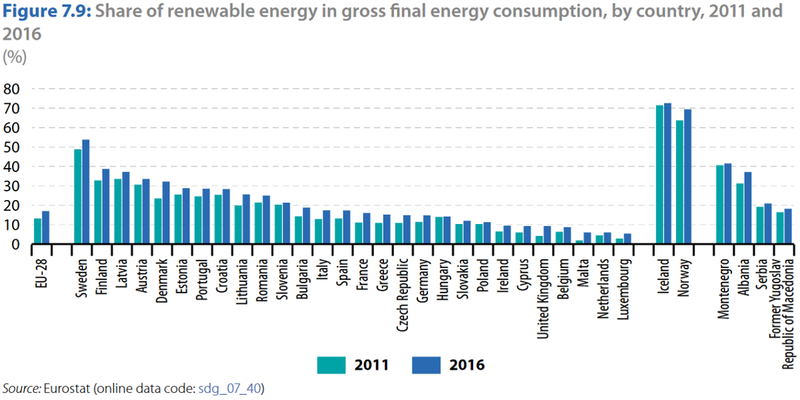 However, progress in reducing energy consumption has slowed down over the past few years. Unfortunately, up-to-date data is not available in all areas. 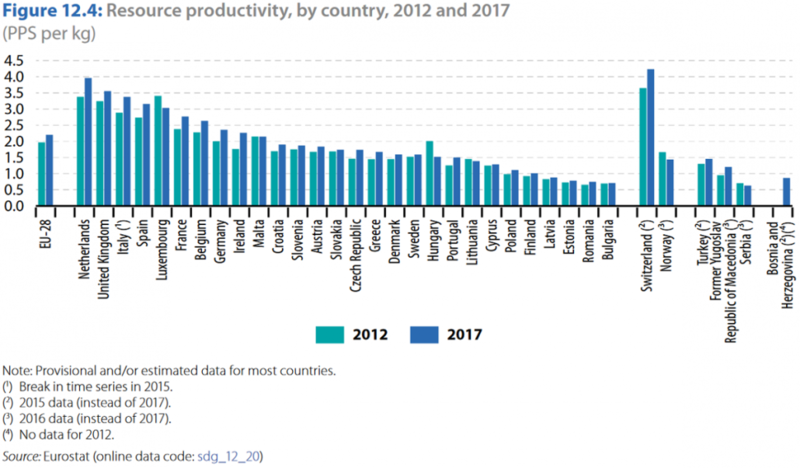 The latest data is available for resource productivity: Croatia and Austria improved on this indicator and are now in the EU-28 rankings 11 and 13, respectively, 15 and 16 in the previous year. 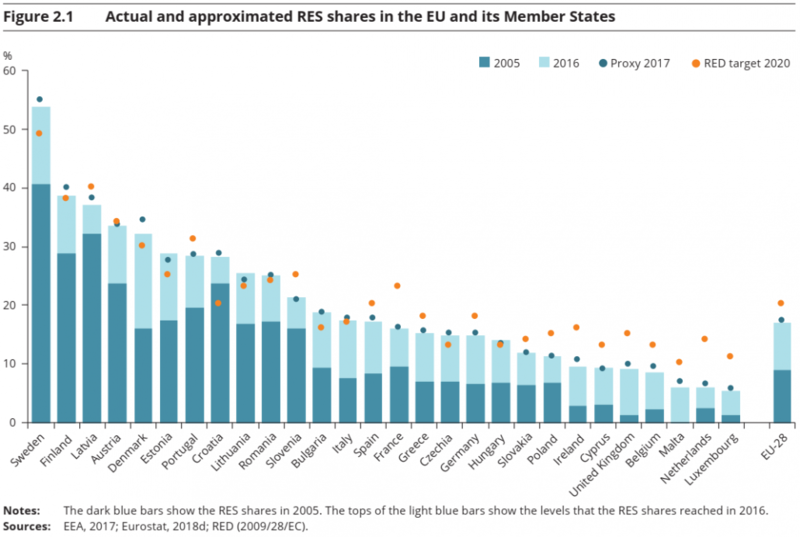 Regarding renewable energy, Austria remains unchanged in fourth place in Europe on the basis of 2016 data, Croatia fell slightly, from 6th to 8th place. According to the European Environment Agency Report, related to the actual RES shares, both Austria and Croatia are ranked rather high among the EU countries. Austria is among the ten countries producing most of the waste in Europe, and among the top-five when it comes to recycling rates. 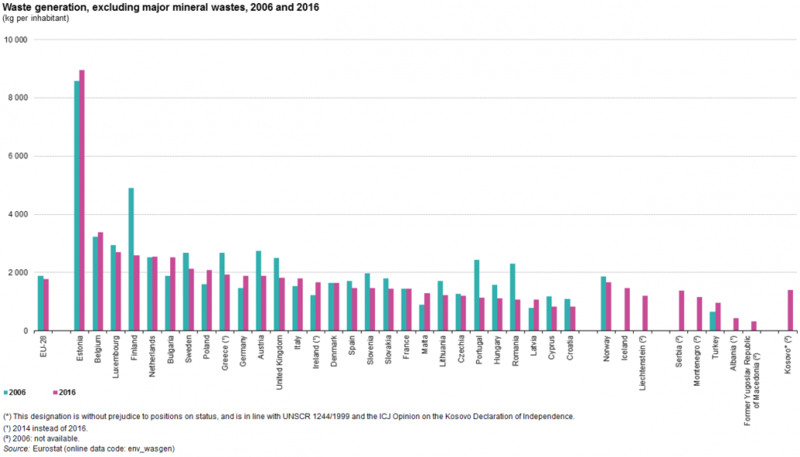 Croatia generates the lowest amount of waste in Europe with a significantly improved recycling rate, but still ranks below the European average. According to the European Environmental Bureau Report of 2017, Austria takes the second place in municipal waste recycling. . The shift away from landfilling towards separate collection and recycling is slow. 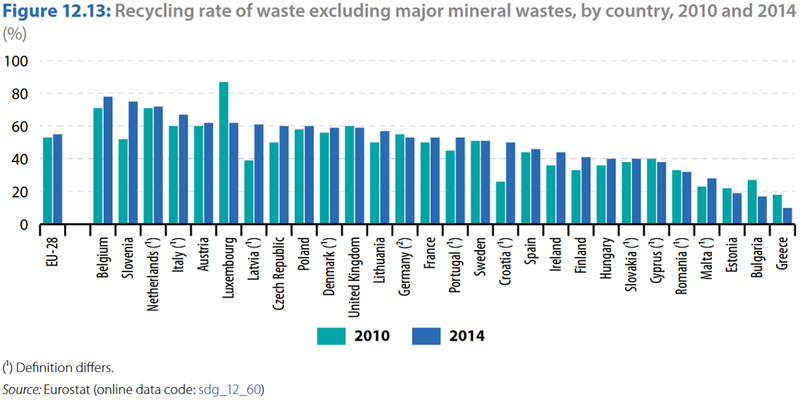 Landfilling of municipal waste accounts for 77 % of total waste, considerably above the EU average (24 %). Croatia also scores low in terms of recycling, with only 21 % of waste materials recycled, compared to an EU average of 46 %.